We left this morning in ice cold and snowy Hamburg off to Leipzig. Our fist official destination. 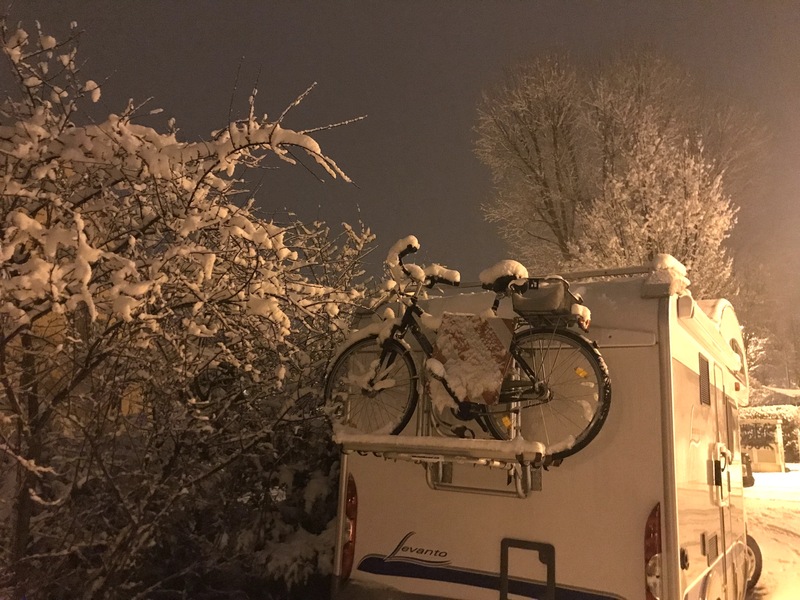 Due to really bad weather conditions and the fact that I have to get used to driving the RV again after a long winter break, it took us 5 hours to Leipzig. 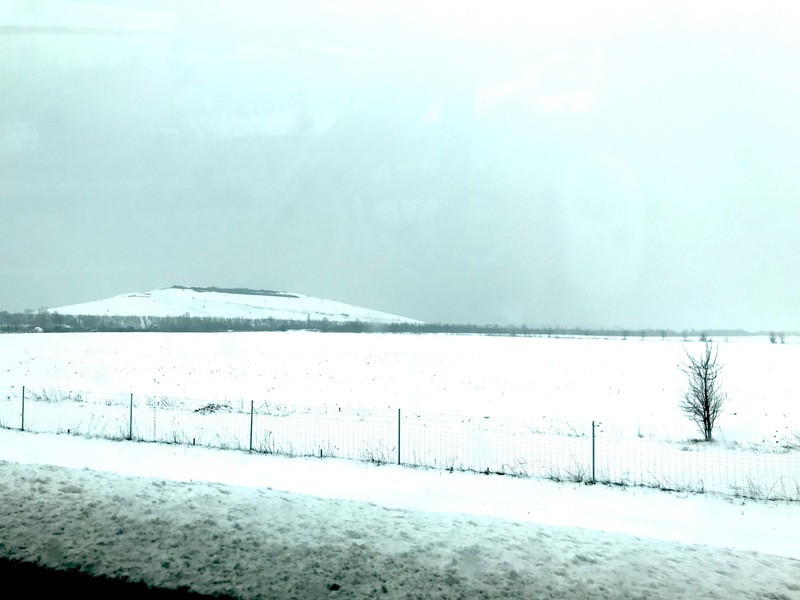 During the drive, the weather got better in between…until we finally arrived in Leipzig. The minute we passed the city sign, it started to snow again and just didn’t stop for over twelve hours. As we visited some friends in Leipzig, we have spent the afternoon enjoying the winter wonderland having snow ball fights, making snowmen and playing snow soccer with Fiete as you can see on instagram. We decided to stay overnight at their parking lot, which was a good decision considering the road conditions during the heavy snowfall. So we spent our first night covered in snow and snuggled up in warming bottles. The next morning, we met more local friends for breakfast and used the chance for some sightseeing in the city. Let me introduce you to this beautiful spot in the East of Germany as we have spent a full day here. Leipzig is a vibrant and dynamic city with a noticable spirit of optimism all around. You can tell that the city is currently going through a phase of remodelling and rise as there are many development projects and construction cranes to see everywhere. From magnificent town houses, sometimes refurbished to the finest, and sometimes forfeited, to prefabricated buildings alongside classicism mixed with postmodernism. A really impressive architectural combination. 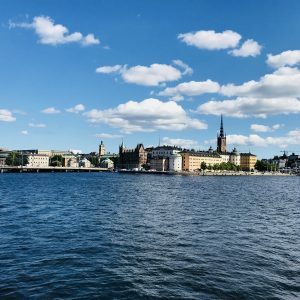 Not to forget, the Saxon zest for life: Street cafés and outdoor seating and typical beer gardens invite you to linger and the friendly and optimistic way of life of the inhabitants to come back. 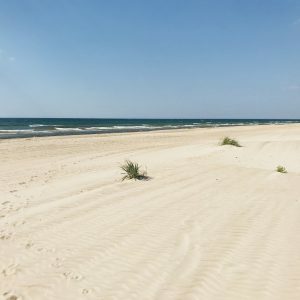 We have spend a couple of hours to explore the sightseeing spots of Leipzig and could have stayed here easily for another couple of days, if we hadn’t our travel schedule with end destination Greece. Architect Bruno Schmitz designed the largest monument in Europe with a height of 91 meters and a weight of about 300.000 tons, which was inaugurated in 1913 in memory of the Battle of Nations in 1813 near Leipzig. 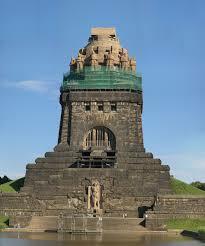 The Völkerschlacht Monument is considered a landmark of Leipzig. It contains over 500 steps to a viewing platform at the top, from which there are views across the city and landscapes. It’s worth the sporty workout. The memorial is constructed completely in granite and sandstone. The monument is said to stand on the spot of some of the bloodiest fighting, from where Napoleon ordered the retreat of his army in 1813. The University of Leipzig has the oldest botanical garden in Germany and one of the oldest in the world. In 1542, the area for the first garden of the university was overruled by Duke Moritz of Saxony. 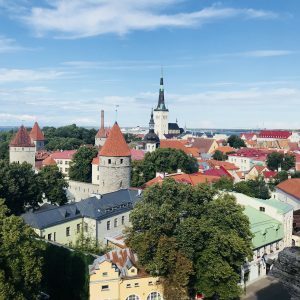 The Botanical Garden is today about 3.5 hectares large and offers, south-east of the city center, about 10 000 different plants from 600 species home. If you have some time, take a walk in this impressive park. 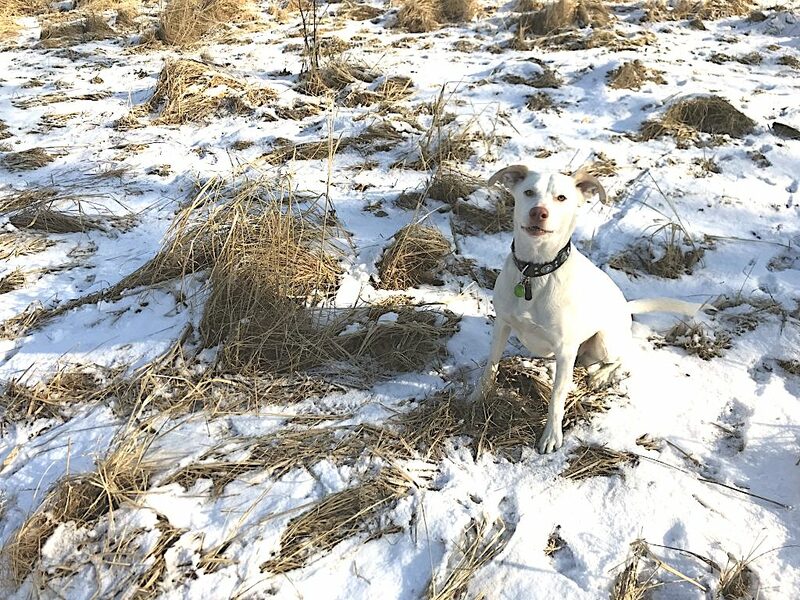 Fiete and I loved the winter atmosphere in the middle of the week – being almost by ourselves. We can’t wait to be back some Summer to see how spirit changes with the season. 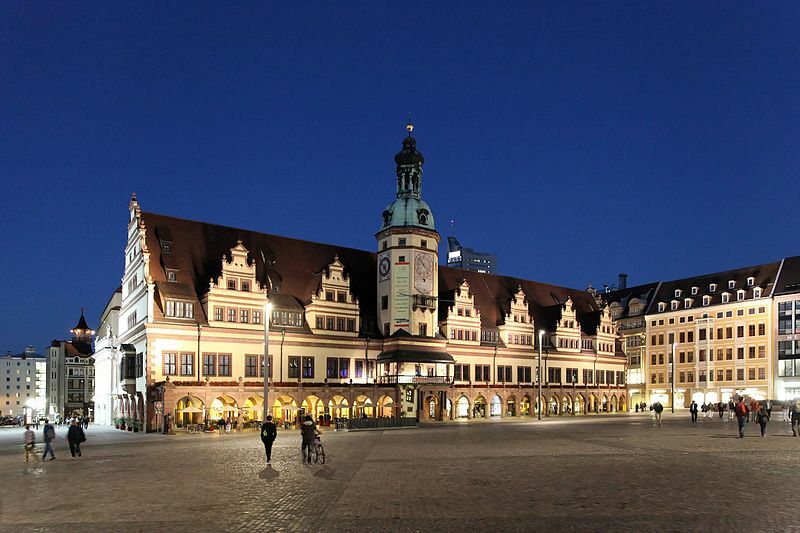 You can’t miss it if you are taking a tour through the city center of Leipzig. Building on already existing buildings, the governing mayor and merchant Hieronymus Lotter constructed the town hall on the east side of the market in 1556/57. Today, it is the seat of the Leipzig City Administration and houses the City History Museum. 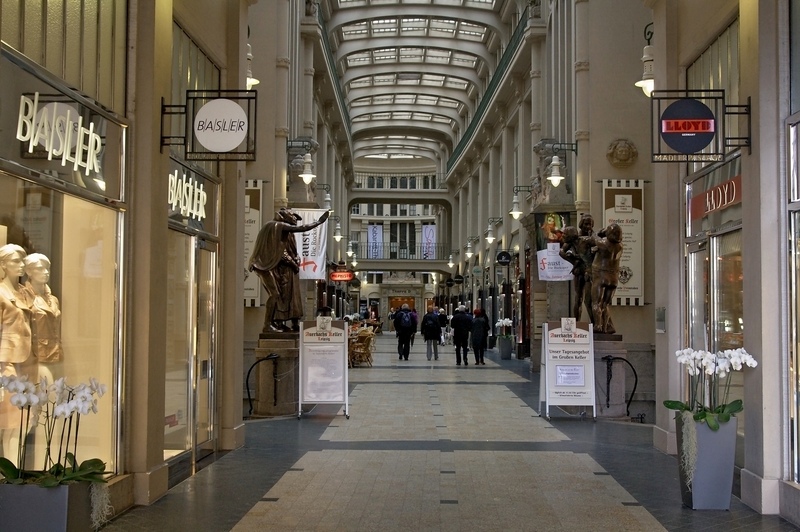 The Mädlerpassage is a covered retail, restoration and service complex located in the center of Leipzig (Grimmaische Straße / Neumarkt) and at the same time one of the few completely preserved and most magnificent shopping arcades in the city. We weren’t really in the mood for strolling as Fiete – just like my husband – becomes very impatient on shopping tours through malls. So we didn’t stay too long here. But if you are out with your friends with some spare time, you should definitely explore this beautiful shopping mall in the center of Leipzig. As there is more to Leipzig than sightseeing destinations, this city deserves a separate section about Food & Drinks. The second-oldest restaurant in Leipzig is likely to be a place of pilgrimage for Goethe fans. The German poet mentions one of his protagonist in “Faust” here in Auerbachs Keller. This is why this place is one of the most popular wine bars since the 16th century. According to the operator, the cellar has hosted over 90 million guests since its founding in 1525. 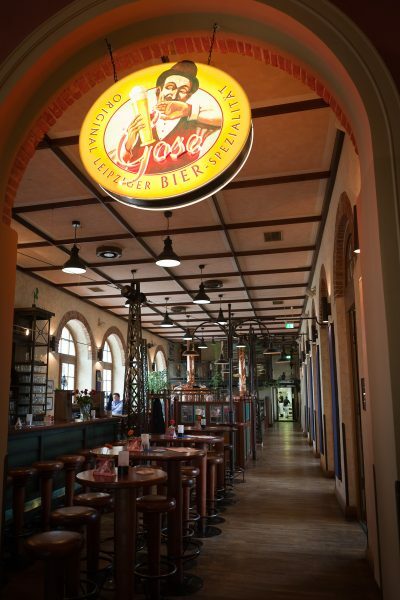 A specialty to mention is the “Leipziger Gose”. This is a top-fermented beer, which is brewed in Leipzig, and had almost been forgotten. It has been re-invented by a local restaurant host. Some information about the origins and distribution of this once very popular beer can be found in restaurants such as “Bayerischer Bahnhof” and “Gosenschenke” where they are of course also served. It is really yummy and worth a sip or two – cheers! Bein born and raised in Germany myself, my mom sometimes used to prepare “Leipziger Allerlei” on Sundays when I was a kid. As we are in Leipzig right now, I wanted to take the chance and reveal the secret of the name for this yummy dish. Leipziger Allerlei consists of young vegetables such as carrots, peas, asparagus, as well as turnip, beans or cauliflower. What is a delicacy today was invented in dire straits, as Leipzig was a rich city after the Napoleonic Wars and beggars and royal tax collectors were tried to be kept away. 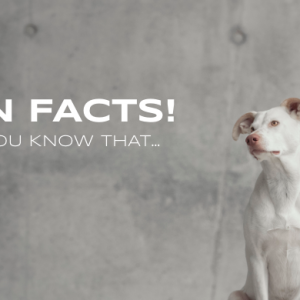 Therefore, a council clerk recommended that the city fathers hide all expensive ingredients at the dining table such as morels, fish or meat under a huge pile of vegetables. 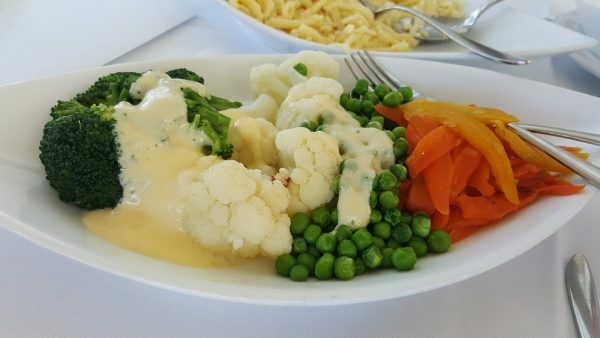 From that day on, guests were then only scooped from above, so they only get vegetables. 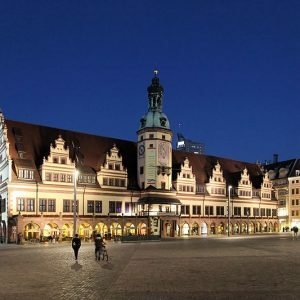 This had the consequence that beggars and tax collectors would go voluntarily to another city – and the inhabitants of Leipzig had the more expensive food all by themselves. We would love to come back to Leipzig for a weekend city trip. In Summer. As this was just a short stop for now, we definitely didn’t see the full beauty of the city. But as we have some friends living here, we will come back and be able to give you first hand insider tips next time we will be around. We are leaving Leipzig now for our next stop Dresden. 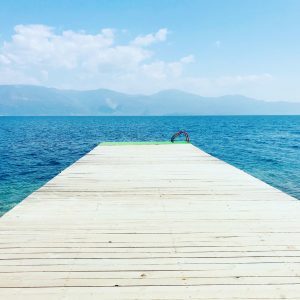 Stay tuned – whoof!